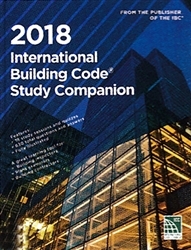 The 2018 International Building Code® Study Companion is a comprehensive self-study guide for the requirements of the 2018 International Building Code®. 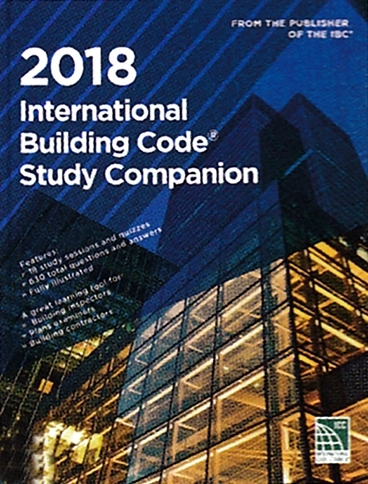 It addresses occupancy classification, types of construction, fire protection systems, fire-resistance-rated construction, means of egress, and more. The Companion’s 18 study sessions provide practical learning assignments and contain specific learning objectives, applicable code text and commentary, and a list of questions summarizing key points for study. A 35-question quiz is provided at the end of each study session enabling users to test their knowledge of the material. An answer key indicates the correct response and reference for each of the 630 total questions.